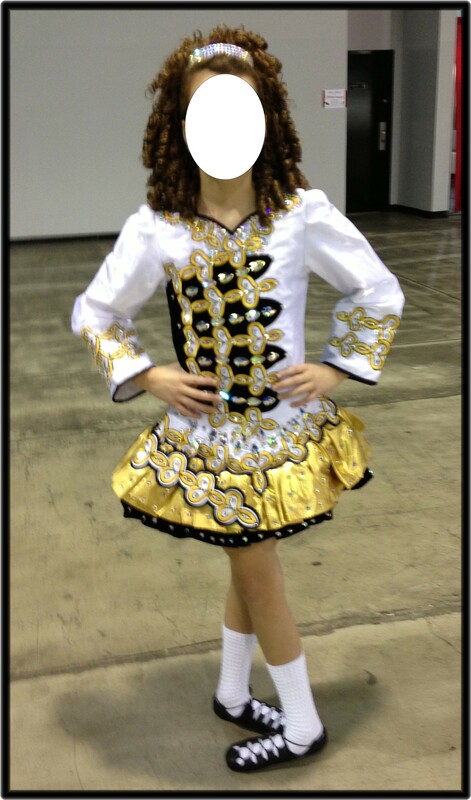 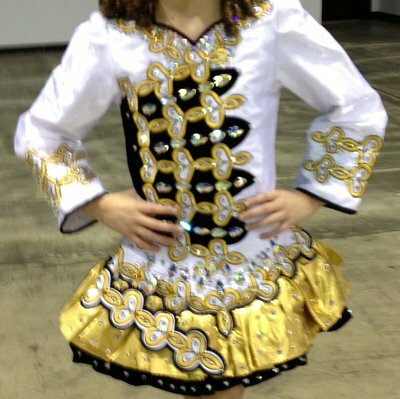 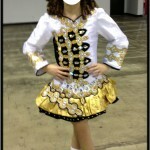 Stunning Celtic Star dress great stage presence! 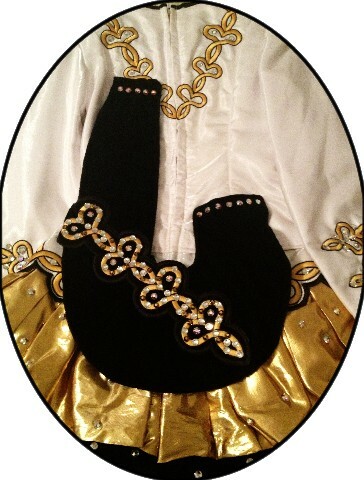 Also included are bloomers and the black headband with crystals (crown) shown in photo. 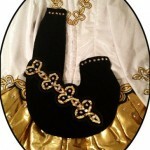 Shipping is NOT included in price, and sale is final; however, I would accept a return for if shipped back within 24 hours of receipt of dress and buyer pays all return shipping costs.